The Virgin River Canyon Recreation Area has the only developed campground you will find on the Arizona Strip. The campground has 75 developed sites set on a hill above the river in the Virgin River Gorge.. All sites have great views of the colorful cliffs and rocky canyons. Group camping is also available. The campground is first-come, first-served and open year-round. Campground amenities include drinking water and flush toilets. There’s also a 33-site day use / picnic area. Each campsite also has a table, fire ring and grate. Some sites have shade shelters. Take the Cedar Pockets Interchange and find yourself in the middle of a wilderness wonderland. 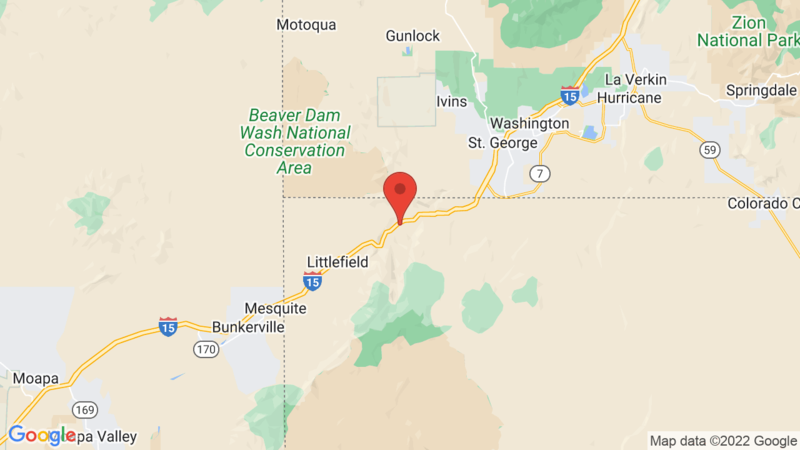 The Recreation Area is located off of Interstate 15 about 20 miles southwest of St. George Utah and about 20 miles northeast of Mesquite, Nevada. Outdoor recreation includes hiking, biking, picnicking, stargazing and wildlife viewing. You may even spot some Bighorn Sheep on the rocky crags above the gorge. You may also be interested in Sand Hollow State Park (southern UT). Visted Virgin River Canyon Recreation Area Campground lately? We'd love to hear about your adventure. Did you find us useful? Did we forget something? Anything our community should know before heading out to Virgin River Canyon Recreation Area?